MPWW is a 501(c)(3) charitable organization – Donate now! MPWW students frequently publish poems, stories, essays, and op-eds in venues of local and national reach. We do not share these publications, per Department of Corrections policy, unless they have been previously published and we have explicit permission from the writer to do so. 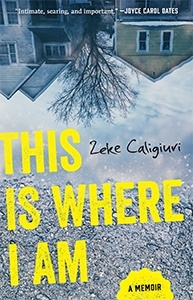 We're proud to work with Zeke Caligiuri, whose magnificent memoir, This Is Where I Am, was published by the University of Minnesota Press in 2016. The book was a finalist for the 2017 Minnesota Book Award. You can purchase the book from UMN Press, Indiebound, or your local independent book store.